If you're thinking of dressing up as a red-eyed vampire or monster for a Halloween party, you couldn't choose better. 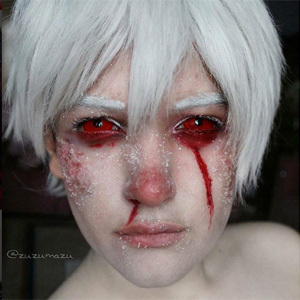 ColourVue Sclera Cyclop contact lenses will give you a scary, crazy look that no other contacts can, because they are the only ones that cover the whole eye. Until now, this kind of effect was available only for professional actors and models, but now you can enjoy it as well!